Dietary Supplement. Omega-3 Fatty Acids. 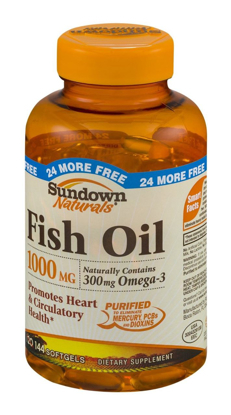 EPA/DHA Source. Benefits Healthy Urinary Function. 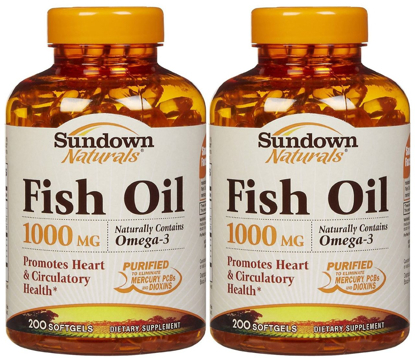 Sundown Cranberry Fruit Capsule is a convenient way to get the full spectrum of cranberry's natural beneficial compounds. 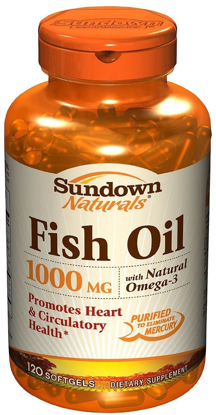 Fish Oil Dietary Supplement. 24 more free. 1000mg. 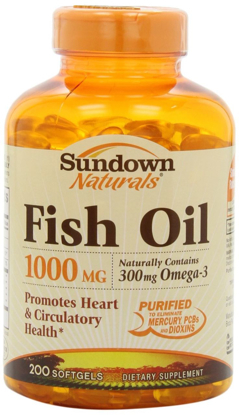 Naturally contains 300mg omega-3. 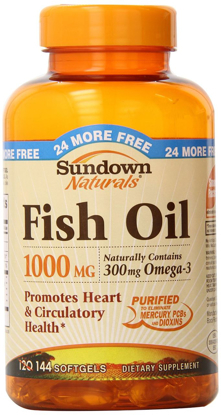 Promotes heart & circulatory health. Purified to eliminate mercury, PCBs and dioxins. 144 softgels.